Kids have endless imaginations and love parties and celebrations, so what better way to make their special days even more memorable by creating an original and unforgettable cake? With projects to rival even the imagination of children, Kids' Party Cakes will allow you to do just that! 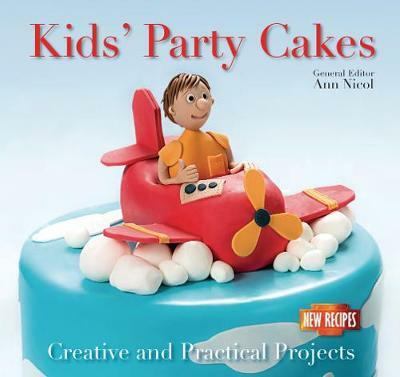 With easy-to-follow step-by-step instructions and full-colour illustrations, this book will provide you with mouthwatering cakes perfect for kids of all ages and with all kinds of interests. Also included is a useful front section with information on Equipment & Utensils, Essential Ingredients, Basic Methods, Icing Recipes and Decorating. Whether you opt for a Flying Pilot Cake or a Candy Store Cake, these party cake recipes are certain to impress.